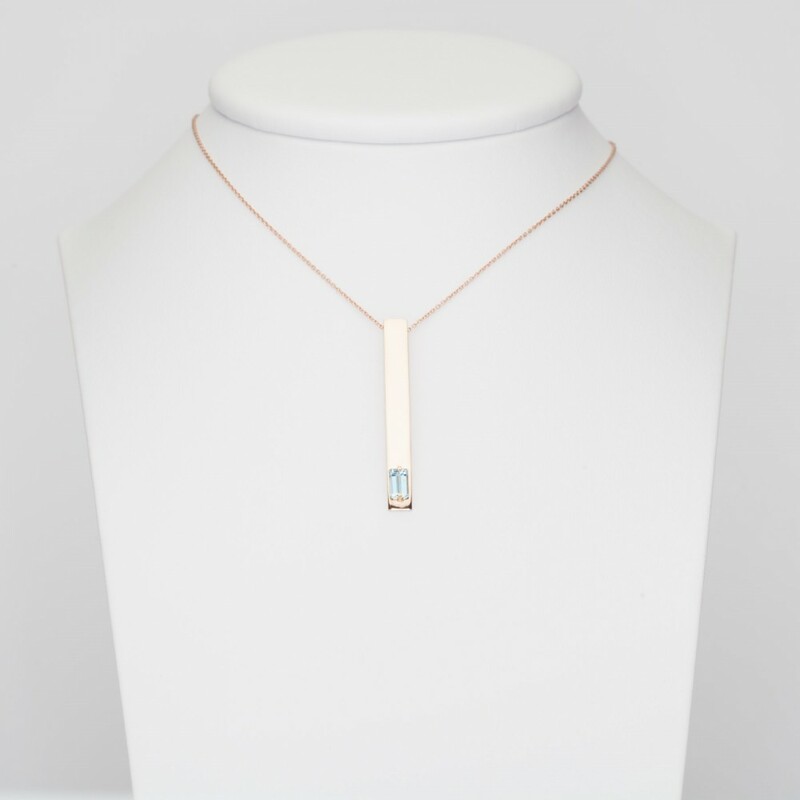 Precious charm in 18 kt rose gold, mirror-finished with natural rectangular aquamarine, the design is elegant but undoubtedly high-impact style. 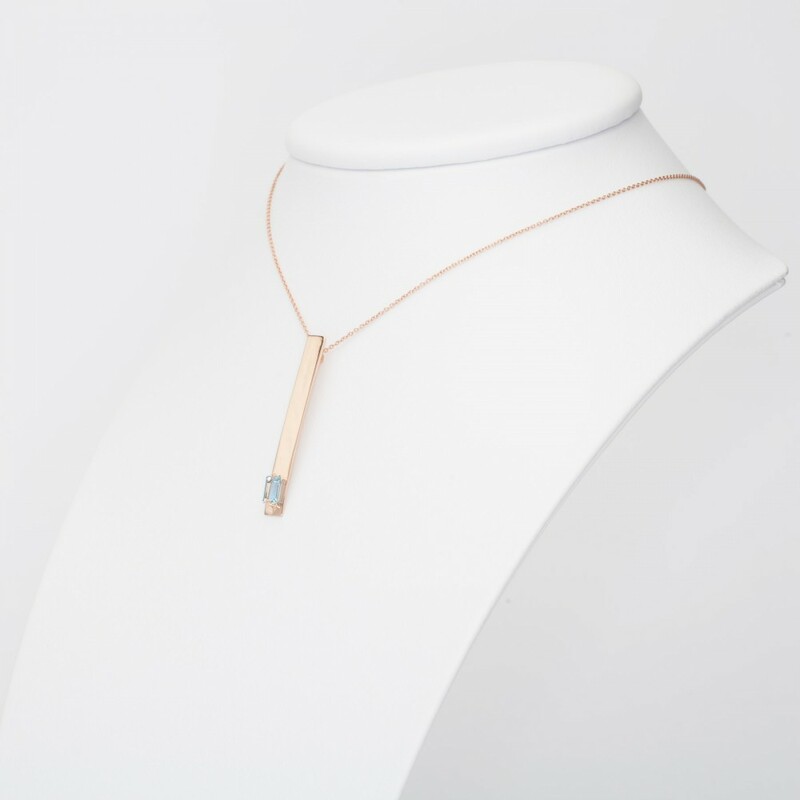 Chain in included in the price, it's made in rose 18 kt gold, 42 cm of legth. 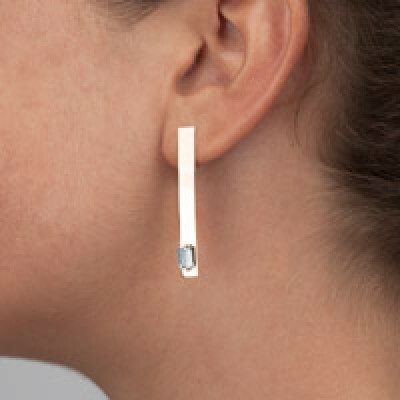 The pendant is 42 mm x 6 mm, the aquamarine is a natural stone, and its weight is 0,54 ct.
Warranty and packaging are included.